Trend Micro's latest compilation of patterns for virus identification. All new Trend Micro products use a new multi-digit format for displaying the numbers of pattern files. Customers using older products must either update or apply the New Pattern File Numbering Format Service Pack to their products as soon as possible to ensure receipt of new multi-digit format pattern files. If your product still uses the old format, you can determine if you are using the latest pattern file by looking at the middle 3 digits in the multi-digit format. For example, pattern file 960 in the old format will be displayed as pattern file 2.160.00 in the new format. As of old pattern file 980, Trend Micro will stop issuing old 3-digit pattern files on a regular basis. You must update before pattern file 980 (2.180.00) in order to continue receiving virus pattern files, so please act now. Trend Micro Antivirus+ Security software provides essential Internet protection for your PC so you can enjoy your digital life safely. 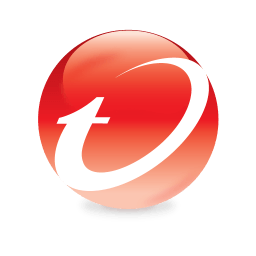 Trend Micro Anti-Spyware is a comprehensive spyware detection and removal solution, designed especially for home users. Easy-to-use protection for your home network, identity, and online activities from the present and future web threats.